This is the 10th anniversary for this thread, so I thought an update is in order. The bike is still ridden all the time and still basically as it was when completed. A Chris King headset replaced the original Campy SR, it wore out in record time. 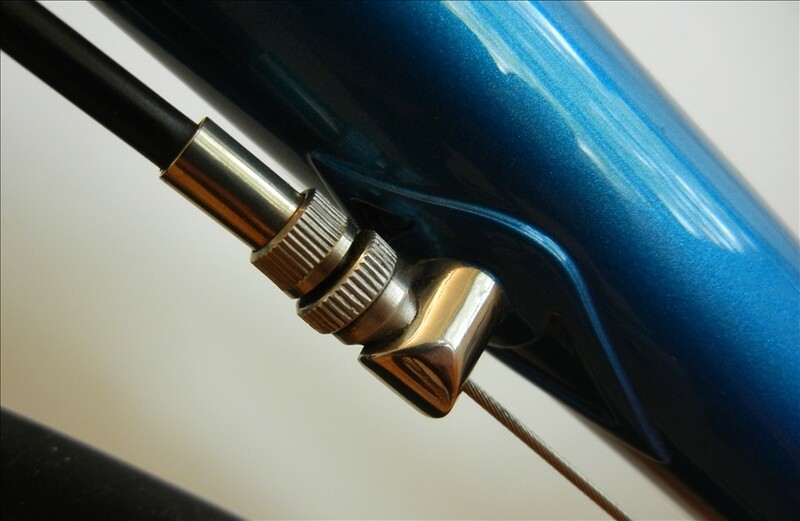 I made this little cable adjuster for the front derailleur. The 2008 Centaur shifters wore out with no replacement parts available so they were replaced with 2014 units. 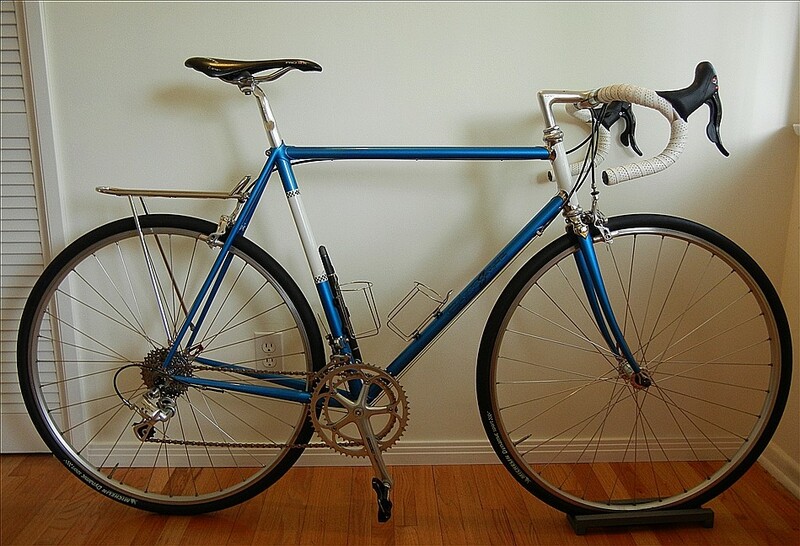 Toss in a few chains, two cassettes, tires, tubes and bar tape and it's still a pretty good all round bike. Still looks great, with what sounds like a lot of time out on the road. Nice build Thread and very informative.